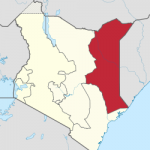 NAIROBI, Kenya (Morning Star News) – Church members in a northeastern town in Kenya fear for their lives after Islamic extremists targeted Christians in a grenade and gun attack early Thursday morning (Oct. 6) that killed six people, sources said. Targeting predominantly Christian migrant workers from Kenya’s interior, rebels from Somalia’s Al Shabaab group reportedly took responsibility for the attack at a residential compound in Mandera, with a spokesman for the militants saying it was designed to drive Christians from the area. The attack in Mandera, tucked in Kenya’s northeast corner near the Somali border, reportedly wounded several others. Among 27 people rescued were Christians who arrived at their church traumatized and in shock. The pastor of an area church told Morning Star News that two members of his congregation were among those killed in the attack. Earlier this year, in a pre-dawn raid on a predominantly Christian area in coastal Kenya, Al Shabaab rebels on Jan. 31 killed at least four Christians, beheading one of them, and they have carried out previous attacks in the Mandera area. An attack on a bus and a truck near Mandera by Al Shabaab insurgents took the lives of two Christians in December 2015, and on July 7, 2015, Al Shabaab killed 17 quarry workers near Mandera, including several Christians. On Dec. 2, 2014, Al Shabaab killed 36 non-Muslims, most of them Christian, in an attack on quarry workers near Mandera. The killings came after a Nov. 22, 2014 assault by Somali insurgents in the same area that left 28 non-Muslims dead, including 19 Christians. Al Shabaab, which has ties to Al Qaeda, claimed responsibility for the Dec. 2 massacre, calling it vengeance for police raids on mosques in Kenya and Kenyan military involvement in displacing the Islamic extremist militants from Somalia. Prior to the Nov. 22 attack, police raided and closed four mosques in Mombasa that they said were recruitment centers for Islamic terrorists. Al Shabaab rebels have launched several attacks in northeast Kenya since Kenyan forces led an African coalition into Somalia against the rebels in October 2011 in response to terrorist attacks on tourists and others on Kenya’s coast. Kenya ranks 16th on Open Doors’ World Watch List of the 50 countries where it is most difficult to be a Christian. Praying for persecuted and murdered Christians by savage Muslims. Why is the world allowing these tragedies against peaceful Christians? If the situation were reversed, the world would be in an uproar. We must stop this genocide!